Costa Rica is home to 5% of the world’s biodiversity which stands for almost 615 wildlife species per 10,000 sq. meters. The small tropical country counts with wild and exotic flora and fauna. 25% of Costa Rica have been made protected areas: 26 protected forests, 20 national parks, 9 forest reserves, 8 wildlife refuges, 7 wildlife sanctuaries, and 1 national archaeological monument. 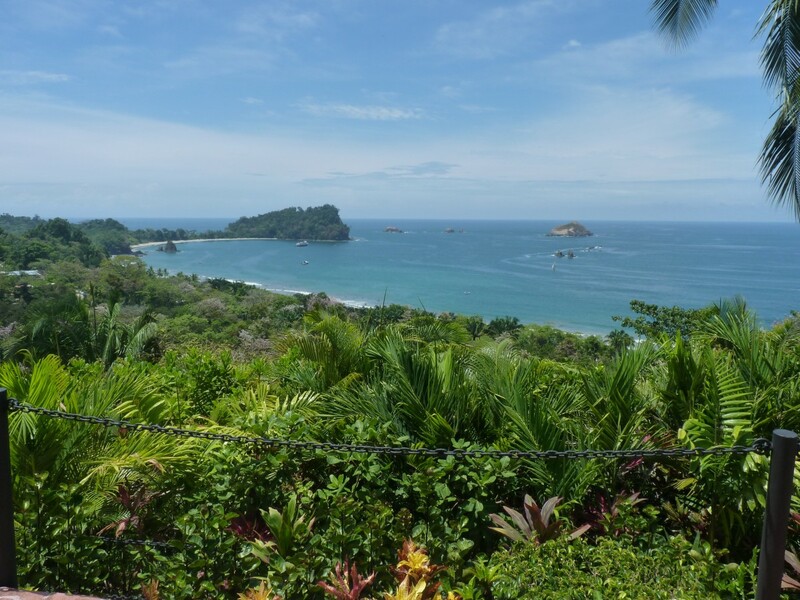 If you are a nature lover or an expedition fanatic Costa Rica is your place. Most of the protected areas are open to the public to experience how wildlife interacts naturally. Hiking through national parks, within the tall trees of the primary forest while watching white-faced monkeys, sloths, toucans, turtles, and more than 200 species in their natural habitat is just a unique experience. You can also explore the different ecosystem while enjoying activities like paddle boarding, kayaking, through zip-lines, by car, ATVs and more. In the country, you will find at least 12 ecosystems which are defined for the variation of temperatures and the amount of precipitation that the area receives. These include mangrove swamps, dry forests, forest of the lowlands, middle elevation forest, highland ecosystem, coral reefs, and wetlands. 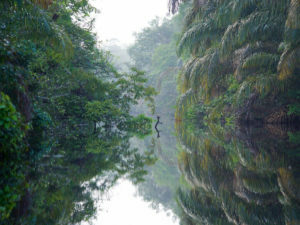 One of the areas which most ecosystems and wildlife is Tortuguero. Due to the humidity and abundant flora and fauna, this place is a natural paradise. It counts with more than 2000 plant species, 400 birds and more than 400 types of trees. 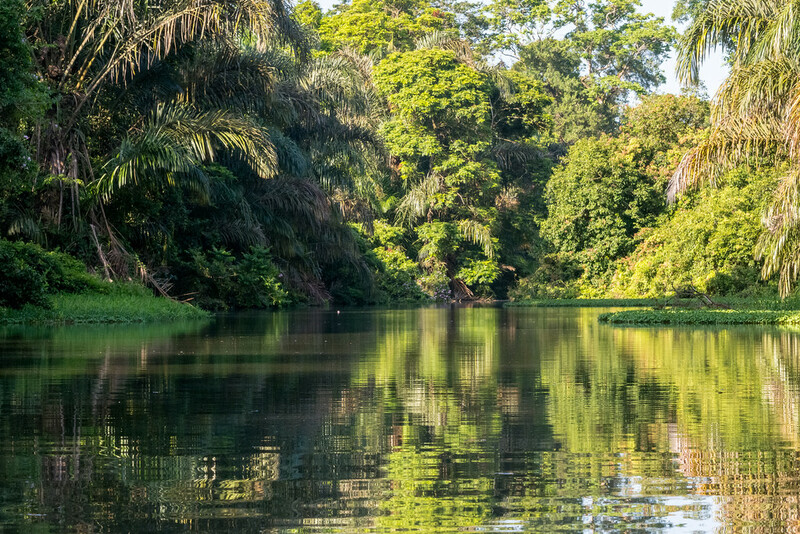 Inside the conservation area of Tortuguero which counts of 26 thousand hectares of land and 50 thousand hectares of water, you will find 11 different ecosystems like jungle, lakes, rivers, swamps, and beaches. It is a well-known area to experience the turtle nesting, where thousands of turtles arrive at the beach to lay their eggs. Due to the abundance of small mammals, jaguars and “manigordos, which are another feline species, live here and even share food. Costa Rica is waiting for you to discover it’s beauty! Costa Rica is a desirable place for the thousands of tourists who visit the country every year looking for fun or recreational activities, to relax and escape from the daily routine. One of the greatest attractions of Costa Rica are the beautiful white sand beaches that create astonishing scenery with its crystal clear turquoise water. Adding to this the lush forests that contain around 6% of the planet’s biodiversity due to the number of protected areas and National Parks. One of the most beautiful places that we frequently recommend visiting is the Caribbean coast. Located in the province of Limón, it extends from Nicaragua to northern Panama. In this part of the country, you will find a lot of geographical diversity and different ecosystems: from mangroves to high mountains, its virgin forests, volcanic beaches, white sand beaches… an incomparable beauty. The Caribbean can be divided into North and South, is very different from each other but just as beautiful with their unique natural beauties. In the North Caribbean, you will find the Tortuguero National Park, known as the Amazon of Costa Rica for its abundant biodiversity and vegetation, is the third most visited national park in the country. Unlike most other Parks, you need a boat, kayak or canoe to travel through the channels and get to the main town. It has abundant fauna and flora, such as alligators, manatees, birds, jaguars and different species of turtles that come to lay eggs in their beaches. The southern Caribbean is well known for its white sand beaches, the folklore of its people and a warm climate. Located to the south of the district of Cahuita you will find the National Park of Cahuita. A dense jungle where you can find toucans, sloths, jaguars and translucent waters with a lot of corals making this park perfect for snorkeling. In this same region, you will find the lazy sanctuary, which rescues injured or abandoned sloth and take care for them until they are healthy to return to their natural habitat. The Caribbean is known for its gastronomy because of its Afro-Caribbean roots, with restaurants and coffee shops that will make you enjoy your stay. The popular Rice & Beans, made with rice and beans cooked with coconut milk is the popular Caribbean dish. Small, cozy bars, reggae music, and warm people dancing and singing through the streets will make your vacations unforgettable. The Caribbean Coast in Costa Rica is simply a wonderful place to visit, with its relaxing atmosphere and its Afro-Caribbean culture you will find the true Pura Vida lifestyle. Tortuguero National Park, known as the Amazon of Costa Rica for its abundant biodiversity and vegetation, is the third most visited national park in the country. Located in the Limon Province in the Northern Caribbean coast the small Tortuguero town, which lies right next to the national park, consists on a 400m main strip with small hotels, hostels, cabins, restaurants, and souvenir shops. Its quite an odyssey to get to this area in the Caribbean, nevertheless it’s totally worth it! You can only access this town by plane or boat. There’s a local airline that flies from San Jose to the airport in the Caribbean close to the dock, but you have to take a boat to get to your hotel or to the main village. You can also drive to La Pavona, where the dock is, and leave your car in a private parking that charges you a daily fee. From La Pavona you will take a boat ride about 1.5 hours to get to the village. Since we are talking of the Caribbean, precisely Tortuguero which is immersed in the Tropical Rain Forest, you must be aware of the hot and VERY humid climate. It is known as one of the wettest parts of Costa Rica. This region does not attach to the country’s dry-rainy season, it has its own calendar. Thus, the best months to visit the area is during September to November and February. It can rain at any time of the year, most of the times during these months, it’s sunny in the mornings and rainy in the late afternoon and the whole night. Nevertheless, climate does not stop the Caribbean of being one of the most beautiful regions. Tortuguero is one of the leading ecotourism regions in Costa Rica. The National Park is about 77,032 acres with three trails of 700-3500 meters opened to visitors. Inside the park, there’s plenty of biodiversity and different ecosystems: swamps, mangroves, rainforest, rivers, lagoons, beaches… There are plenty of animals and different types of plants that can be admired and studied. The park is so big and diverse that there are some parts that can only be accessed by canoes or kayak, being a unique and peaceful experience. There are also hiking trails where you could go by yourself or with a guide, you can also walk through the park at the night – we do recommend a guide for the night walk! Inside the Park, you will be able to watch monkeys, sloths, butterflies, iguanas of all kinds and sizes, snakes, birds, crocodiles, raccoons, frogs (some are venous), dantas and plenty more… It is suggested to always stay on the trail, some animals and plants can be harmful, and trails are marked specifically for the protection of tourists. Tortuguero: the place of turtles. Turtles are one of the main attractions in this park, and 2018 was a great year for these animals and for the Conservation Team of the National Park. The shore was totally covered with turtles that arrived to lay their eggs. It was one of the best years to watch the “arribada” as we experienced a larger population of turtles. There are four different species that come to Tortuguero to lay eggs. The best season to watch this spectacle is from March to October. November is a great month to watch how the little turtles hatch from their eggs and make their arduous way to the ocean. Tourists can watch the arribada ONLY by booking a tour, you have to go with a guide that will instruct you on how to behave during the process. The goal is for tourists to have a great experience without altering the natural process. 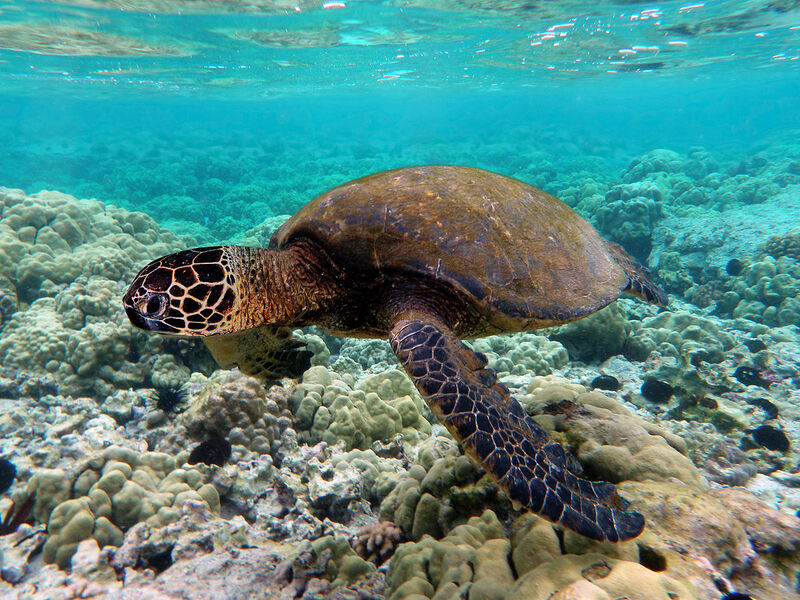 Recently, National Geographic launched a documentary about increasing turtles populations and how they are helping the ecosystem. They explained that Tortuguero is a paradise for animals, there is an abundance of food, and it was proven by filming three different jaguars sharing their food. The documentary also showed the parallels relationship between jaguars and turtles, as one population increases the other one does too. These felines tend to inhabit the place that is only a conservation area, not opened to the public, but it is known that they do approach the beach or the canals where people can access. If you are traveling to Tortuguero be prepared to live a surrealistic experience. It is beautiful to see the way the small village is merged within the Tropical Rain Forest. There are some hotels have their own rivers right next to them and you wake up to the sound of the monkeys in your balcony. The key to having abundant biodiversity and being one of the most visited national parks in the country is due to the conservation of the area. Always remember to check the boat schedules! There is a tight schedule that varies depending on the tide to get from La Pavona to Tortuguero. *You can buy the tickets at the moment in the restaurant next to the dock. Don’t forget your sunblock and mosquitos repellent. Impermeable clothing, it’s a humid area! Stay within the trails marked in the National Park. If you are going on a budget, you can stay in the small hotels in the village. Near the National Park, you will find more upscale hotels. 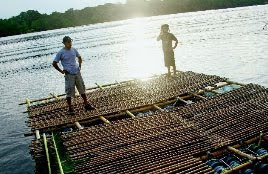 Una balsa fabricada con 80 bidones (envases) de agua flota desde ayer en los canales que circundan la comunidad de Tortuguero, Pococí, en el Caribe norte. La estructura mide 5,5 metros de ancho por seis metros de largo, y es un proyecto que integra la creación artística, la conservación ambiental y el trabajo comunitario.La obra fue diseñada por el artista Francesco Bracci como parte de las actividades del festival cultural Tortufest III, que se celebra esa localidad caribeña hasta el domingo.“Mi propuesta de intervención artística en Tortuguero toma a los canales como el eje central. Ellos son el elemento alrededor del cual gira la vida en esa comunidad: funcionan como medio de transporte, fuente de empleo y núcleo de atracción turística”, explicó Bracci.La rica biodiversidad acuática y terrestre que caracteriza el Parque Nacional Tortuguero motivó al artista a plantear un mensaje conservacionista con su obra.“Es una gran balsa, casi un muelle flotante construido con 80 bidones de desecho que fueron donados por la empresa Florida Bebidas. Estos envases plásticos son desechados por estar contaminados con alguna sustancia o porque tienen alguna perforación”, dijo el artista.“El uso de dispensadores plásticos es muy simbólico, pues Tortuguero es una comunidad rodeada de ríos y canales, pero sus habitantes tienen grandes carencias de agua potable para sus necesidades diarias”, agregó Bracci.Además del plástico, el artista utilizó otros materiales que son de uso común en el Caribe, como el bambú, la caña y la palma.El proceso de construcción de la balsa involucró a varios pobladores, quienes se unieron al artista durante tres fines de semana.“Había que reparar los recipientes con resina y fibra de vidrio. Debido a que los bidones de segunda no tienen tapas, tuvimos que realizar un sistema alternativo para sellar esta perforación de aproximadamente cinco centímetros de diámetro”, declaró el creador.Bracci confirmó que balsa quedará en manos de los pobladores para que ellos le den el uso más conveniente. “Pueden aprovecharlo incluso como un espacio para reunirse y compartir. Si se ata a un bote con motor, puede servir hasta para ir de paseo”, agregó.